This being my second card using the Grow image I decided upon dark hair, it is good to mix it up a bit. In fact it is easy to fall into old patterns while choosing favorite colours and tenichiques. This little sweetheart will be sure to brighten someone's day. Grow is another sweet image from Saturated Canary, it is amazing how many great images Krista has in her shop. Not only does she have wonderful images to choose from, but they are super fun to colour. Krista's images usually are drawn with lots of hair and layers of clothing which gives an opportunity to practice shading and other various techniques. Grow also has a wonderful message to share. Considering the many amazing people that have come into my life, this image will get plenty of use. I am so excited to be able to share my sweet and adorable grandson with you all. Today he is sporting his super cute and fun Bunny Hat just in time for the Easter season. Along with a matching pair of slippers this project came together beautiful. As for the super soft look and feel bamboo was the yarn of choice making for a comfortable yet cozy knitted set to adorn this little sweetheart. Finally it feels as if spring is in the air, which makes my heart sing. I am anxious for the snow to clear and warmer days to abound, as my scooter is waiting for me. Our season is so short here that every moment counts. 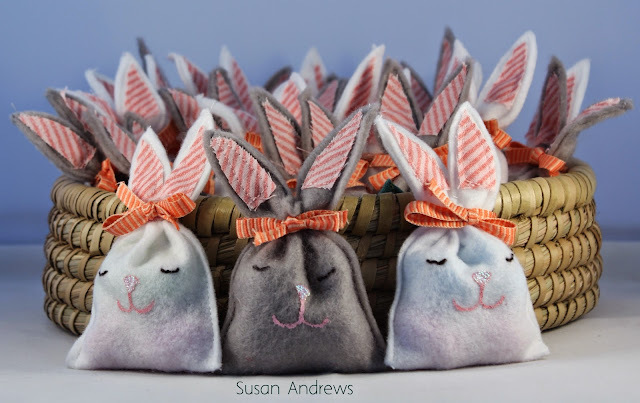 Speaking of spring, how about this cute bunny from Sassy Cheryl's Oldies but Goodies section? This is One Happy Bunny that definitely will bring about a smile. 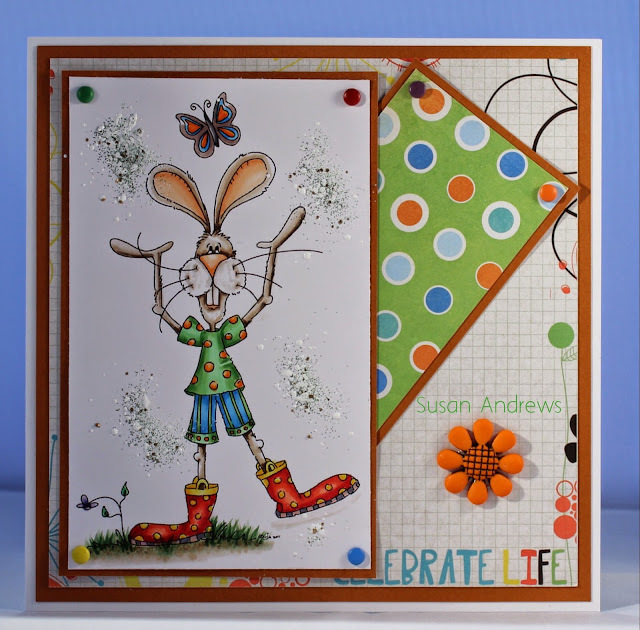 Not only is this super cute guy livening up the card with his fashion forward sense, while mixing it up with bright colours, funky boots, as well as stripes and polka dots which makes him adorable. In a word he is a professor of celebrations and all things fun. Recently while I was reading the Shape magazine there was an article featuring Sharon Stone, who of course looks absolutly amazing. Sharon has a body that rocks, while at the age of 56 she wants to be the best she can be. Her goal has been to have the body of a dancer, lean, limber and strong, yet graceful. She has definitely accomplished this. Not unlike Sharon we all have dreams and desires which we may or may not achieve, but almost every girl at some time in her life loved to dance and twirl, to move her body and wear a tutu just for fun. 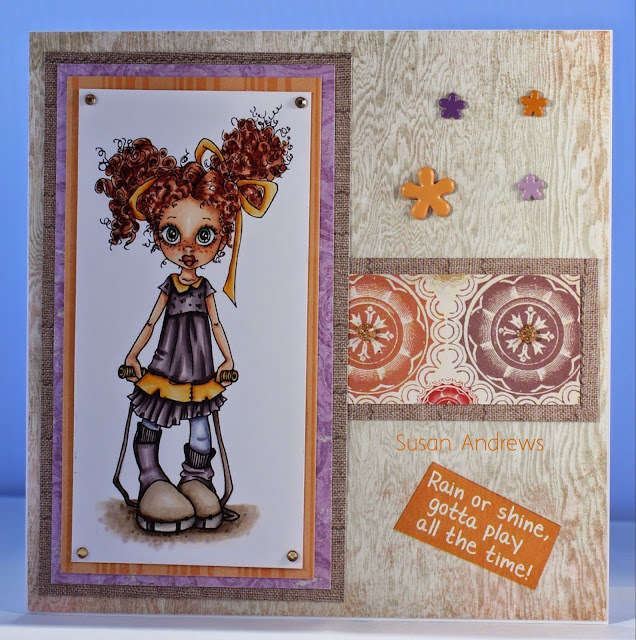 Today's sweet image "Love To Dance," was created by the talented Wendy Burns from All Dressed Stamps. It not only represents the long lean lines of a dancer with grace and sophistication but also has given me the opportunity to try a new method of colouring. You might recall that I received a full set of Prisma Coloured pencils for Christmas. While I played a little with them, I was not thrilled with the results. Trying to run before you can walk kind of thing. With that said I soon realized I needed to take a step back and try them out with what I already knew and that was colouring images for cards. I must say I did enjoy the whole process of colouring a smaller image while at the same time not having to worry about realism. Being pleased with the result I will colour more images with my pencils and who knows one day I might yet be tempted to try realism once more.